No one knows exactly when, where, or how intensely a hurricane will hit. Weather stations now have astounding technology to make their predictions more accurate, but they are always still predictions. Nature can change so quickly and dramatically in a short period of time that it is best to always be prepared for the event of a hurricane. Preparation should include emergency kits, food and water storage, an evacuation plan, a return plan, and a plan for hurricane damage repair. Although the wind from hurricanes can cause a lot of damage, the greater issue is generally the huge amount of water that a hurricane brings with it. 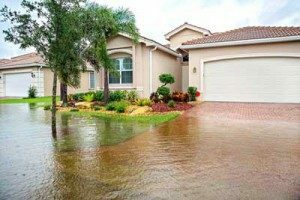 Because of rain and flooding, areas that are hit by a hurricane generally require a great deal of hurricane damage repair. Here is a list of just a few ways you can prep for these types of repairs. Take pictures for proof of damage to send to your insurance company. Send in claims to your insurance. Do basic cleanup, including throwing away debris in and around your house and disposing of furniture or household items that are damaged beyond repair. Determine what will need to be fixed or replaced in your home. Recognize that you need professional help and don’t try to fix electrical issues, roofing or ceiling damage, or gas leaks. Even if an area isn’t hit by the actual hurricane, it can still experience a lot of damage from the excessive rain and flooding of a nearby hurricane. With this in mind, it’s important to be prepared and have a plan of action for hurricane damage repair in place.